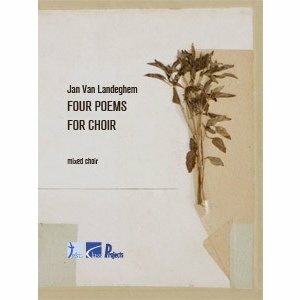 The suite "Four Poems For Choir" has been composed by Jan Van Landeghem in the 1980s and is dedicated to the boys choir "In Dulce Jubilo" (Sint-Niklaas, Belgium), when he was conductor of the choir. At that time the composer was very much interested in the poetry by Rabindranath Tagore. The texts inspired him to write several vocal compositions in a very short time, which are now published as a suite. 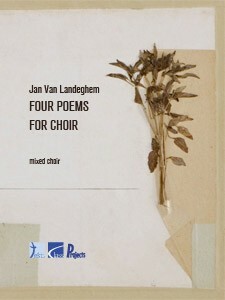 Performances of the "Four Poems For Choir" took place in Belgium, Poland and a lot of other countries. Two of the "Poems" have been recorded on a CD, produced in the 90ties by a classical radio station. Conductor for these recordings was Herman Engels.